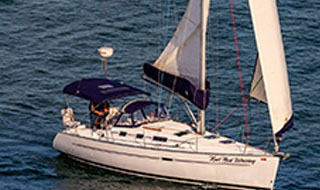 Founded in 1979, Anacortes Yacht Charters was started by Jim & Lois Shea. It was Jim's second career and they operated it as a family business for almost 10 years. In 1989, Dan and Sherri Meyer bought AYC when the Shea's were ready to retire. 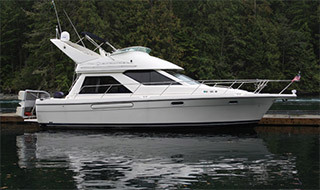 With a passion for boating and a pure love for the Pacific Northwest, the Meyers took an active ownership role and grew the fleet to an impressive size. Ready for retirement themselves, Dan and Sherri sold the business to their daughter and son-in-law Kristin and Mike Lovell in 2004. 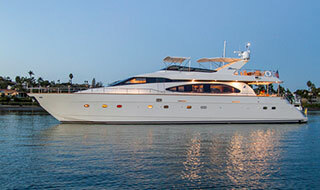 Among those who know charter companies, there has been high regard for AYC since its inception in 1979. AYC has successfully aspired to set the standard for bareboat chartering worldwide in the areas of service, boat quality, innovative and streamlined procedures as well as attention to detail. Most notably, AYC's customer service is second to none. We are proud of our history as a family-owned yacht charter company, but we are hardly a "mom and pop" business. AYC is the undisputed industry leader in the Pacific Northwest, with an exclusive charter fleet approaching 85 vessels. From your first phone call, the staff at Anacortes Yacht Charters is here to help you book the right package and vessel for your excursion. Above all else, we are here to serve you and your cruising needs. From our careful charter yacht selections, to our thorough safety procedures and mechanical checks, we strive to make your tour to the San Juan Islands, Gulf Islands, Desolation Sound, or Alaska as enjoyable as possible. With their stunning natural beauty, these Northwest Islands and Passages are not to be missed. We know it is difficult to set aside time alone with one's family and friends, so we are prepared before you even arrive to make the time you do have together a special one. Our dedicated staff and charter representatives maintain a thorough understanding of our fleet of vessels and the handling characteristics of each. We will never compromise your safety or the success of your cruise. 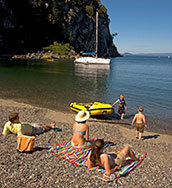 To ensure the safety of your family and friends, we also have skippers available to accompany your voyage. We are highly selective with our staff, and take care in reviewing the resumes of those who wish to charter our vessels. We have also instituted our "Power Cruising" training program, designed to develop new skills in our students, enabling them to charter a vessel similar to the one used in our hands-on training. AYC has received the Cruising World Reader Poll's excellent rating, a rating only received by 5 charter companies in the world. We feature the largest fleet on the West Coast with approximately 100 vessels. Because we are highly selective regarding the yachts we take into charter, and the vessels we do receive already come to us well-maintained, we in turn host a more caring clientele. 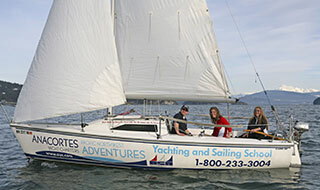 AYC is a member of the Anacortes Chamber of Commerce, Sail America, American Sailing Association, Recreational Power Boating Association, Northwest Marine Trade Association, and Pacific Northwest Charter Association. Perhaps one of our most cherished forms of recognition is that well over 50% of our clients are repeat clients. They've experienced our hassle-free and thorough introductions to our vessels, and know our fleet is in excellent, working condition to ensure a safe and pleasant cruise.